Propaganda India wins a Grand Prix at Spikes Asia 2018 in the Music Category at the Spikes Asia 2018 held from September 26 to 28, 2018 in Singapore. The Grand Prix was for #GiveABeat – A song for Heart Disease driven by the percussion of heartbeats for Max Healthcare & Max Group in the Music Category. When it comes to campaigns in healthcare, if content finds a format that’s relatable to everyone, association with a cause creates impact. The right mix happened when Propaganda jammed with popular Indian rapper Brodha V and musician producer Sanjeev T to help create a song for #GiveABeat - an initiative to raise awareness about children with Congenital Heart Disease. Utilising the most primal beat known to human existence, heartbeats, as the percussive element, a song on CHD was composed which asked people to donate a heartbeat. 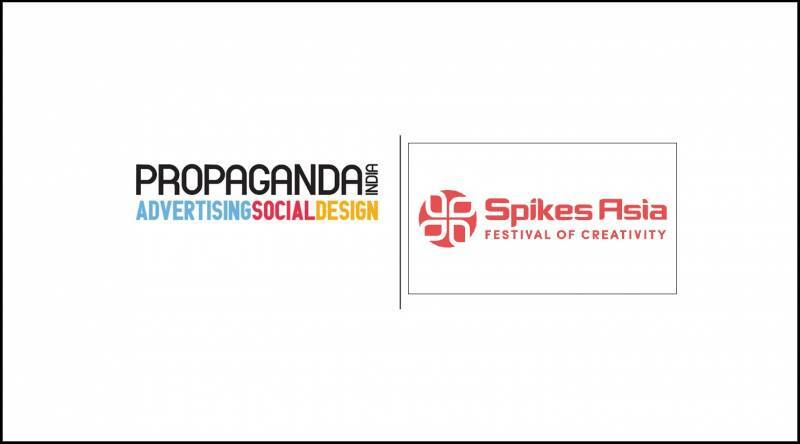 Melvin Jacob John, ECD, Propaganda India said - "Is this for real? I’ve asked this question countless times after the news rolled out. But it’s real and so is the massive teamwork that turned #GiveABeat into a Grand Prix winner. Goes to exemplify Propaganda’s re-energised collaborative energy to make digital more than just cold data or algorithms - to make digital human again - and going back to the internal percussion that we all share does just that." Priya Jayaraman, Founder & CEO, Propaganda India said "I am still trying to soak this in and I can’t thank Max Healthcare team and Max Group team enough in believing in our ideas. Every single client of ours who have kept us going, walking with us as we tread newer territories and conquer them creatively. This win comes at a moment when independent agencies operating in the new digital landscape are becoming change agents in advertising operating at the cusp of art, content and code. We are so charged up as an agency for Dreaming Big and can’t wait to show you what more we have in store." Mohan Menon, VP & Head Marketing, Max Healthcare said – "We enjoy working with Propaganda India and when they presented #GiveABeat – it was a winner right then. We see so many CHD and other cases walk into hospitals and when we heard this – we knew can make a difference to so many lives. It connected with what we are striving to achieve in healthcare communication where education and empathy are extremely important to create impact and positive change." Nitin Thakur, Director Brand, and Communication, Max India Ltd. – As a Group, we always try to ensure that whatever we do truly reflects our core values and corporate ethos. The concept of #GiveABeat connects to audiences on a very primal level, and while simple, it is also universal in its appeal. Which is why when Propaganda proposed the idea to us as a joint campaign with Max Healthcare, we agreed to it immediately. I would like to congratulate Propaganda on this win and wish them many more such successes in the future. We are glad to have been part of this journey.